Things are much better than fifty years ago. It was definitely ‘foolish‘ or ‘traitorous’ even to be showing signs of being that interested in eastern religions. For myself there was never any problem in the family. My mother took as much interest in Buddhism as I did and my father didn’t much care. But I learnt not to say too much to my friends. A few stares of disbelief and awkward silences was enough for me, if I ever had the temerity to mention my heartfelt interest. So I lived with a private kind of Buddhism while in other respects living a typical working-class English life in a city in the late fifties and sixties. Things are much different now, of course, but still the seriously practising western Buddhist is in the minority, especially if your interest goes beyond the academic level, or if you actually investigate the Buddha’s teachings in ordinary life. Then things start to change and people start to notice that you are not quite the same any more, the things you once enjoyed are much less attractive now and your basic values have started to change. The deeper we get into the dharma, there is no doubt our lives can change in a most dramatic way; slowly to begin with but then more and more — which of course is the whole point of practising Buddhism in the first place. If our values remain the same and our habits and tendencies remain the same, would there be any point in the practice? The Buddha, I’m sure, would not have thought that was good value for a so-called Buddhist life. Having survived other people’s prejudices, we can then, over the years, fall into the trap of thinking we’re doing okay by following certain traditions and forms of sitting. But form will always remain as form. Just taking on a particular regime is not going to bring insight and understanding into suffering and the nature of existence. The sense of unsatisfactoriness and suffering might continue even within the framework of a Buddhist life. And as the Buddha’s teaching is based on the four noble truths — the truth of suffering, the truth of release from suffering, the truth of the cessation of suffering, and the path which is the cessation of suffering — if we’re still as unhappy and confused at the end of many years of Buddhist practice as we were at the beginning, then maybe we should ask ourselves whether we’re doing it right after all. Geshe Lobsang Thinley mentioned several times during a recent retreat held at the Golden Buddha Centre that the point is for the mind to change. All the forms, all the outward practices, will remain at the level of mere form, unless an inner change takes place. Many of us have gone to the trouble of coming away in many respects from our childhood conditioning in order to pursue something we perceived as more real to us. Having got that far it’s a pity if we waste all that initial enthusiasm and find that we have merely replaced one form of conditioning with another. It’s always worth checking it out. Have our minds changed? Not: Have we changed our minds? i.e. replaced one set of views and opinions for another, but is the mind genuinely turned towards wisdom, compassion and freedom from suffering? 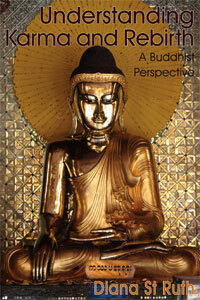 First published in the November 2006 Buddhism Now. Click here to read more by Diana St Ruth. Personally I’ve never experienced any negative reaction when I say I’m a Buddhist; generally people are interested and accept my choice as natural and sensible. I’m sorry to hear others have had to receive negativity, but fortunately Buddhism gives us techniques for dealing with that. Diana is talking about English life in a Midlands city in the late fifties and sixties, long time ago. Wonderful! Thanks Iain haved passed your thanks onto Diana. She says thanks back. 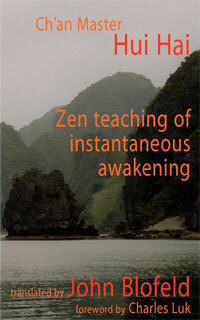 I’ve found that friends are rather fascinated, as they don’t seem to know many other Buddhists, if any. Sometimes they act interested and ask a few questions, which I happily try to answer. Sometimes they have even given me Buddha statues or images the had but that didn’t mean a great deal to them. I found that very kind and welcome. That’s generous of them Harriet. Try telling the millions of followers in Buddhist countries that it isn’t a religion. ;-) Even where I go, Throssel Hole Buddhist Abbey – everyone there regards it as a religion. It is fashionable to see it as a way of life these days, and I have absolutely no argument with that view. 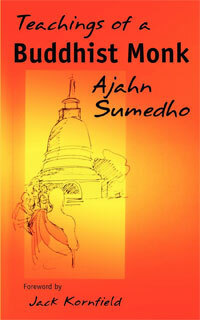 In fact a friend of mine is writing a book where the theme is spirituality without religion. If you grew up in the fifties did you come across Colin Wilson’s The Outsider? That’s understandable. Peggy Kennett (Rev. 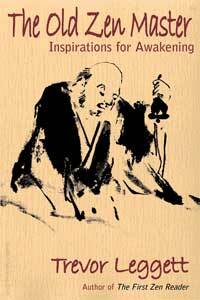 Master Jiyu-Kennett) founder of Throssel Hole loved the religious side of Buddhism. She included it in her style of practice and teaching. And good for her, as she was developing Throssel Hole Priory at a time of ‘Zen minimalism’. please could you let me know what the book is to be called so I can look out for it? I am Sampath from Sri Lanka .I am Buddhist …i would like to point out one aspect of our Lord Buddha. these everything are ” anithyayii.. dukkaii..anaathmaai..(Unstable, Sorrow(sadness), and infinite). My religion is not only religion but also real philosophy of in the world.That is very deep and also simple religion. Lord Buddha said that come and see and get experience of this religion , “I never compel to convert to Buddhism” if any one realized this realistic that is a achievement in the life.,That is why different my religion from every other religions.Then please come and seem get the experience.I most admire most educated people explore and discover regarding of this theory. Wish you Buddhist and triple gem bless you all. I started really following a Buddhist path at the start of this year. I’ve truly tried to follow the eight fold path as clearly as possible, even to the point where those of my sangha don’t agree with me. I’ve taken to heart not drinking, not causing suffering, and trying to end as much suffering as I can. This path works best for me. On a personal level, I have opened my heart in ways I never thought possible. I have stopped having panic attacks, I have stopped screaming at people, I have become soft spoken and over all a happier person. The path I walk has changed me into a whole new person in the past eight months. I love it. The only negative I have found isn’t really a negative. I’ve started giving my stuff away. What ever it is, money food, clothes. If someone needs something, even if I don’t know them, and I have it I will give it to them. Many of my friends see this as a negative, but I see it as a bonus. I’ve met a lot of cool people this way and I have gotten a lot in return. Even though people keep telling me it’s not a real religion I pay them no mind. I know what the truth is for myself and how it’s changed me. For me, this is my religion and the biggest part of my life. Thank you so much for writing this article and providing me a place to share my thoughts.